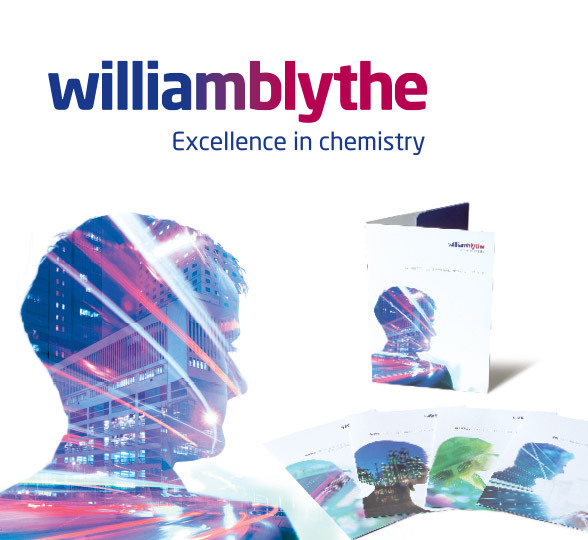 Established back in 1845, William Blythe Ltd has an incredibly strong history in the chemicals industry and has constantly evolved to remain a market leader in its field. However, over more recent years it had become clear that the business had more to offer and with a new management team in place with a clear strategic vision of the future, it was time to reposition William Blythe from a commodity offer to a value partner. Significant investment throughout the entire company has resulted in world leading R&D capabilities with the ability to build long term, progressive relationships with their large global clients…the only problem was the market was unaware of the new capabilities at William Blythe. Having previously worked with the Sales and Marketing Director at another company, we were approached to present our recommendations to reposition William Blythe as an expert in the chemical innovation market. Starting with a marketing workshop to explore overall corporate objectives for the next 3 years we were able to then conduct competitor and client research, before developing a new visual style, corporate identity and tone of voice to reflect the innovative nature of the proposition and to align William Blythe closely with the look and feel of their target markets. Internal communication was also key to successfully respositioning the brand. Loyal, long serving employees needed to engage with the new brand so that the philosophy of innovation could spread throughout the entire company. A key element of this process was to ensure that the 14 hectare site was transformed into a space that reflected the modern, forward thinking company that William Blythe had become. Over the years there had been a multitude of signage accumulated on site, so we began a process of identifying critical signage to replace and then removal of over a hundred unnecessary items, together with introducing the brand imagery throughout the site. The striking style of all the new marketing material has been extremely well received in the industry. The new exhibition stands, multi-lingual brochures and website all now demonstrate the full range of capabilities that William Blythe can offer to its global audience.